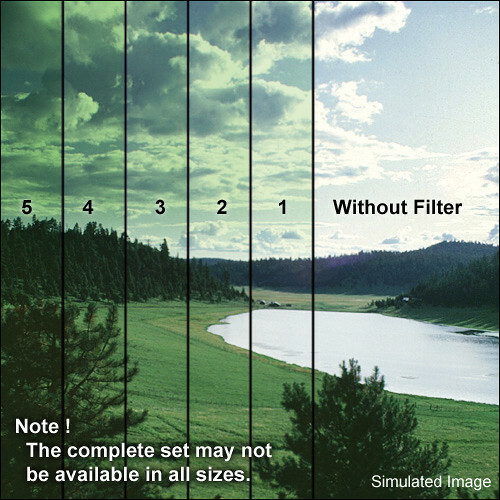 The Series 9 Blender Green 2 Filter from Formatt resembles a traditional graduated filter except that it is colored on top with a gradual transition to more subtle at the bottom. Graduated filters transition somewhere in the middle of the filter. A Blender filter can be used with the graduation starting either on the top or bottom. In addition, it can be used in combination with other Blenders to create even more interesting effects. For those who enjoy outdoor, scenic or architectural photography, a Blender is the perfect choice to create some unusual and dynamic images that a traditional graduated filter cannot produce. The Blender Green 2 filter adds more green to your image than the grade 1 version. When used in black and white photography, it will lighten greens and darken reds. Formatt filters are made from sheets of CR39 Resin sandwiched between two sheets of high-quality Schott glass. The reputation of Schott glass precedes itself and is world renowned. The dyes used are carefully manufactured and controlled and when sealed between the glass, become color consistent filter to filter. For the photographer/videographer/cinematographer, this means you can change filters from day to day or shot to shot knowing that your color consistency will be maintained.